Fresh Angeles: What Will You Celebrate? But for some of the more special events, we have a tradition of celebrating in very magical place!! We have had a BLAST!! Who thought that was even possible?? Here are some of the things included in SUMMER NIGHTASTIC! A Bolder Fantasmic Show, new floats were added to "Disney's Electrical Parade", & for my teens/tweens a new dance club "Ignites The Night" in Tomorrowland! 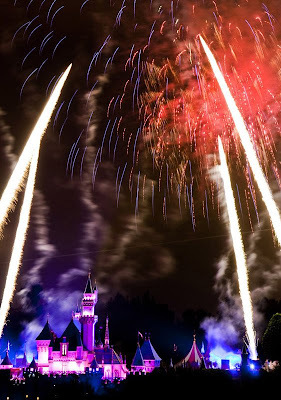 But I am most excited about "Magical" the new Disney fireworks show!! 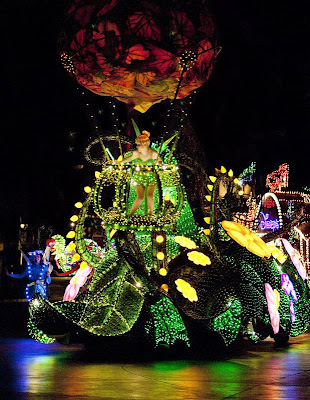 The familiar image of Tinker Bell lights up the show, only this time she's joined by a surprising Disney character, Dumbo the flying elephant, who dances across the night sky. They have also re-launched their News Web Site with great new features and downloadable video, so go check it out! Disney is now the Twitteriest Place On Earth. I am following them on Twitter, along with over 6,000 other Disney Fans! Make sure you do the same!